My box full of goodies! When I opened my box, I was surprised to find all of the goodies I found in it--there were things from Her Campus, Neuro, Luna, Poppin', Chipotle, and a box of SK Energy Shots that came in the day after this package! My collection of Poppin' notebooks before giving them out to some friends! 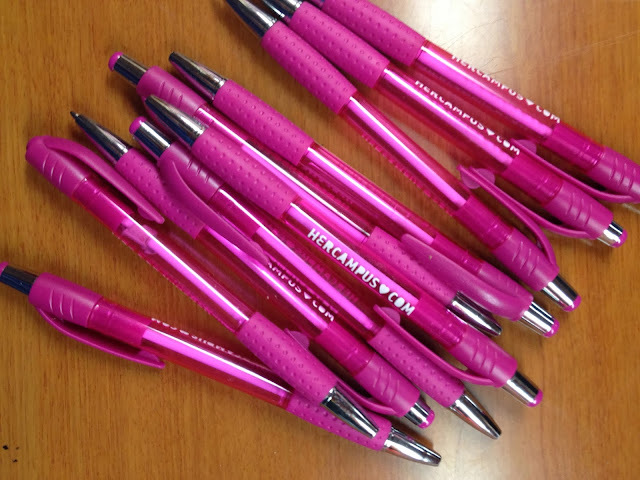 These really cool purple gel pens, also from Poppin'! Two of the really awesome things I got in this care package were a surplus of Poppin' gel pens and mini notebooks, both in purple! I really love school supplies so getting these were like having an early Christmas for me. They have all sorts of school and office supplies that are simple but stand out because of all the bright and fun colors they come in! My personal favorite are the orange supplies, of course. 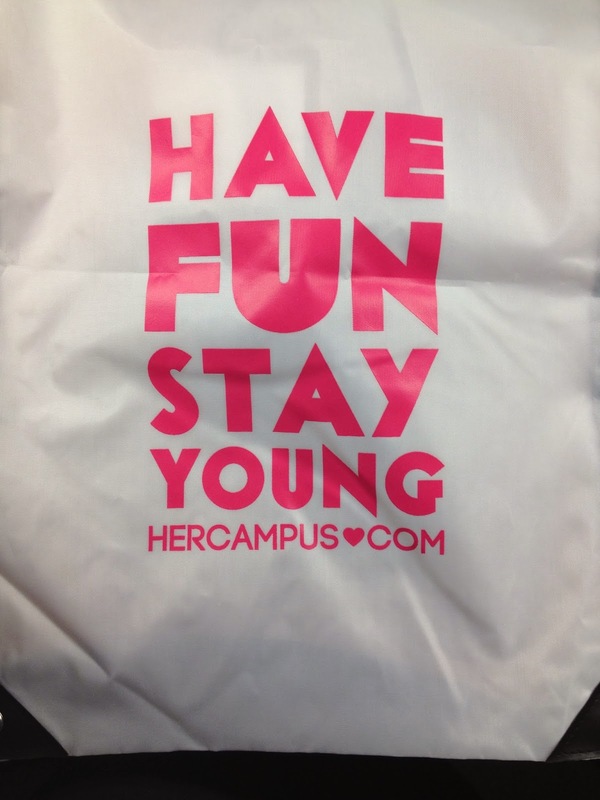 You can get $5 off your next order with the code: DORMSTYLE. What are you waiting for? Go check them out and get some Poppin' stuff. (Get it? haha). When you do get your new Poppin' supplies, post them on Instagram with the hashtag #dormstyle for the chance to win a dorm makeover as well! 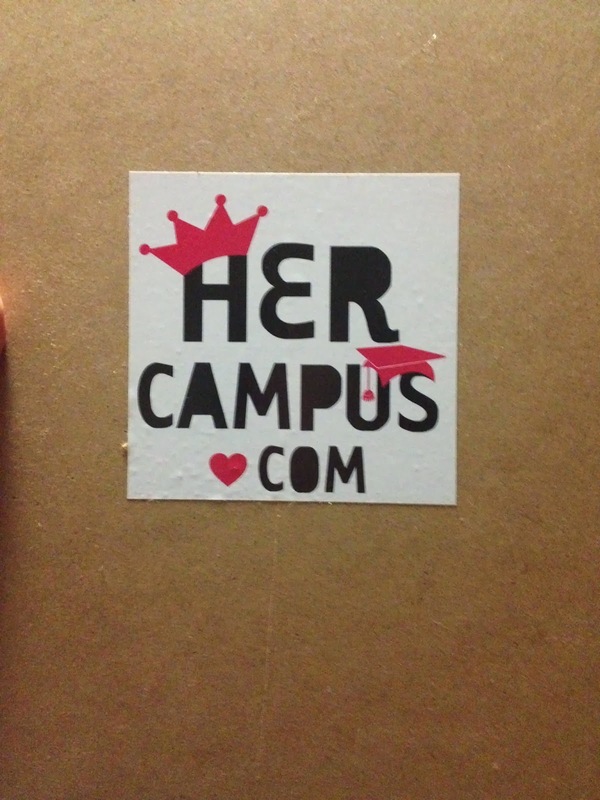 I also got some things from Her Campus; they were the ones who sent out these packages, and I am also part of the Her Campus Blogger Network, also through them. I received some cool HC stuff, like this HerCampus.com sticker (sorry that it's backwards), the "Have Fun, Stay Young" gym bag, all the Her Campus pens (I have an obsession with pens), and the Her Campus clipboard! Another great treat--a buy one, get one free coupon from Chipotle! 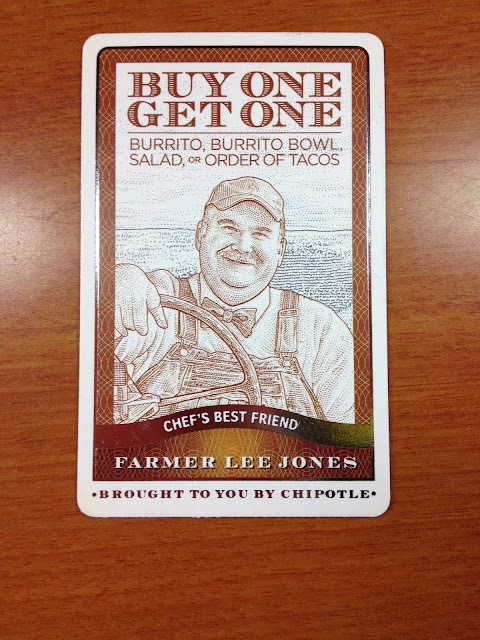 Chipotle is so popular and almost a staple to any college student's diet. They have great-tasting food that fills you up really well. I am so excited to use this! 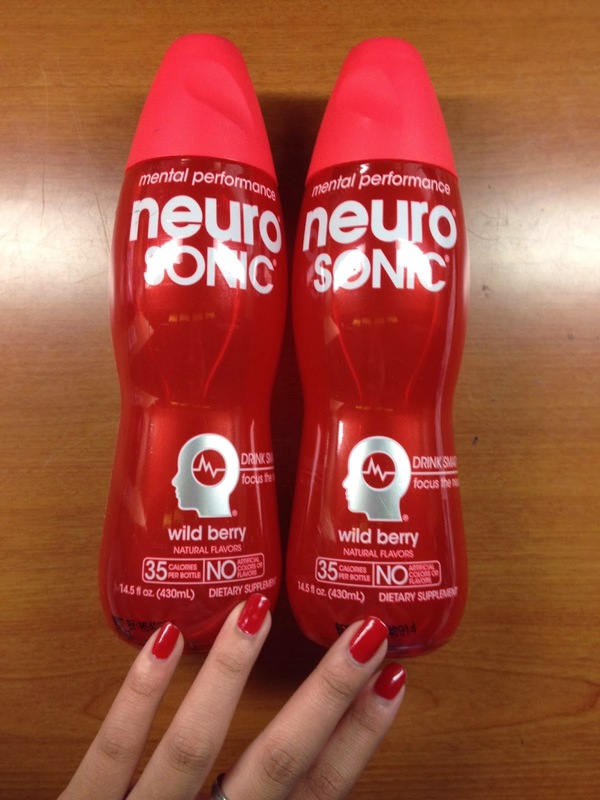 Another cool product that I received with my package--Neuro SONIC! This specific wild berry flavor is said to help boost mental performance, something necessary for every college student, especially at this time during midterms and preps for finals. There are other colors depending on your needs, but Neuro SONIC is meant to increase alertness, sustain energy, and support mental performance, everything you need when you're studying! Luna bars were another treat that I got from the package that are really good for healthy snacking! They're meant to help get things done and give you the energy you need in a healthy way. Luna is there to help you get from class to class each day. 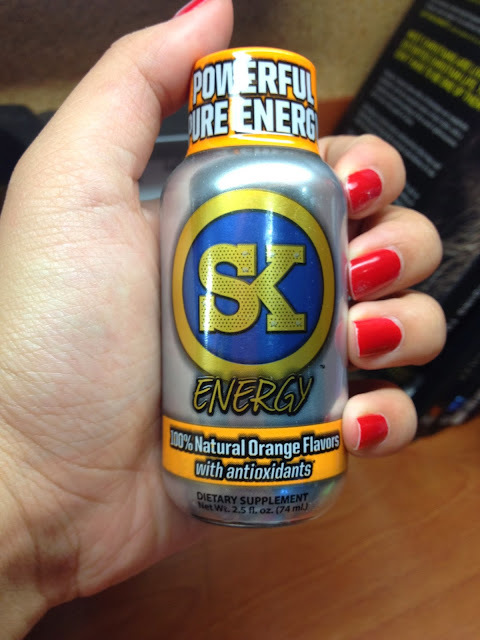 The last and final gift from my survival kit were the box full of SK Energy Shots! These are another thing you can turn to when you need a boost of energy to get through the day (or night)! I am so thankful to have gotten all of this cool stuff for free, thanks to all these brands and Her Campus for putting it all together. I've already shared and enjoyed these with my friends, you guys should definitely get some for yourselves! Everyone needs something to help them get through school. 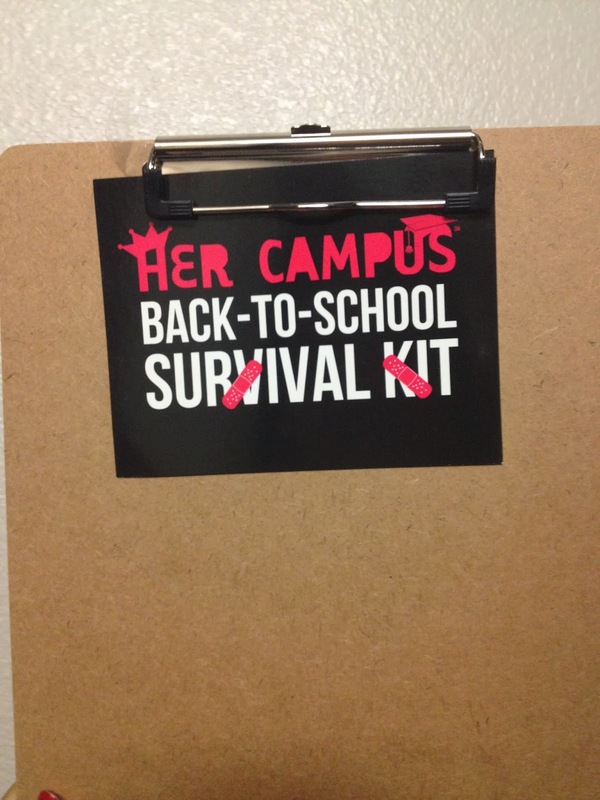 What's in your school survival kit? Wow! Definitely makes me miss the college days. Look's great! Lucky! You got purple Poppin goodies! I received the aqua notebooks and blue pens. Plus, I received three huge cases of Neuro! Aww I wish I got like purple of one thing and another color of something else! It's okay, I still like my Poppin' stuff.. get it? Hahaha. And yeah I did too!